TechArt has been passionately tuning Porsche offerings since 1987. TechArt realizes individualizing an automobile as prestigious as a Porsche means one must be discerning when choosing materials and styling. That is why all products under go comprehensive quality surveillance and stringent safety testing ensure they deserve the title of TechArt. All TechArt products are manufactured by ISO 9001 certified processes, from the first prototypes to the final product. TechArt knows how to design products that compliment the classic shape Porsche has become known for. Porsche has already designed their cars to set you apart from the crowd, but TechArt takes you to the upper echelon of performance and style. The TechArt Panamera Aerodynamic Package presents the four door Panamera in a spirited manner while maintaining its flowing elegance. TechArt specifically designs each panel to compliment the existing lines of the Panamera, no universal parts are used. 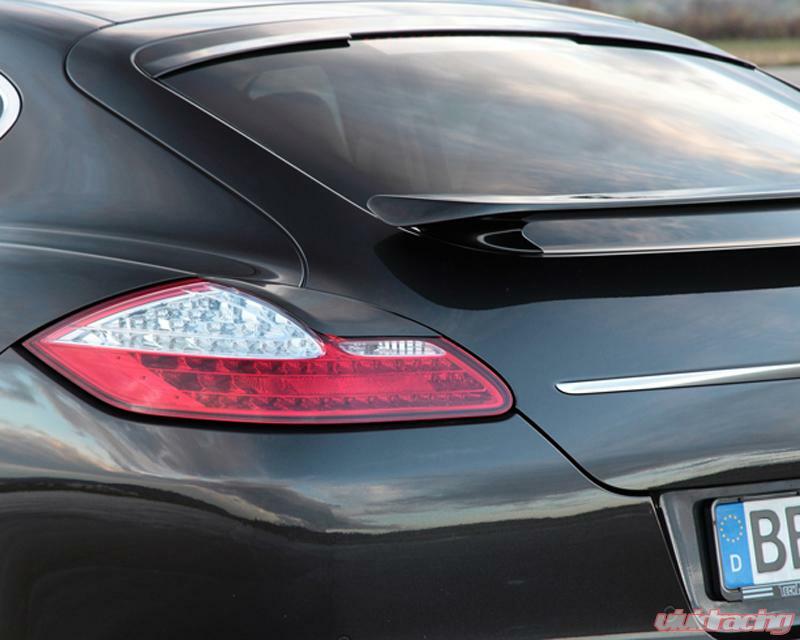 Aero panels give the owner an opportunity to individualize their vehicle to their specific taste while at the same time improving aerodynamics. TechArt Aero pieces are developed within an air tunnel to test their aerodynamic efficiency. All panels are constructed from durable polyurethane RIM and utilize factory mounting points so their fitment looks as natural as the factory pieces. Front spoilers serve many functions. This is why you will find front spoilers on vehicles ranging from daily drivers to professional race cars. First of all, they add race inspired style to your vehicle in a subtle manner. 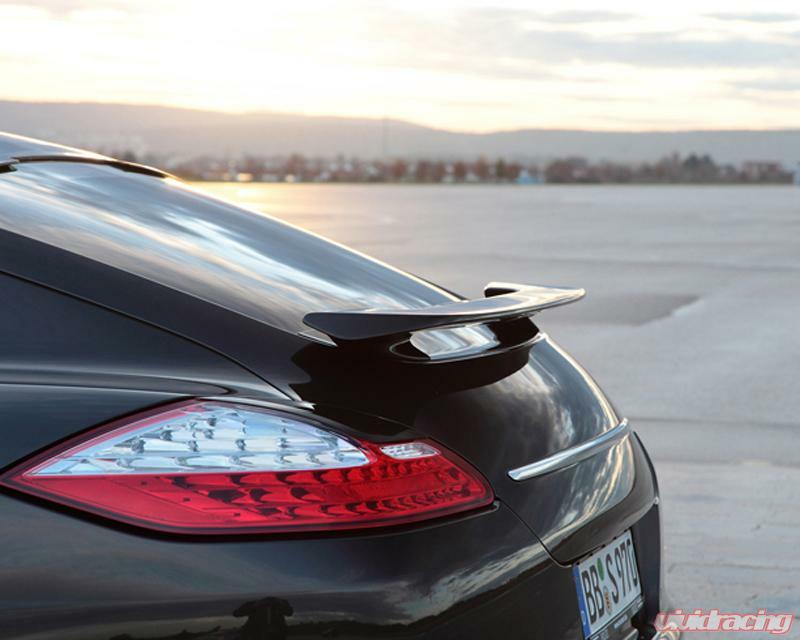 TechArt front spoilers are designed to increase down force on the front wheels and reduce lift. 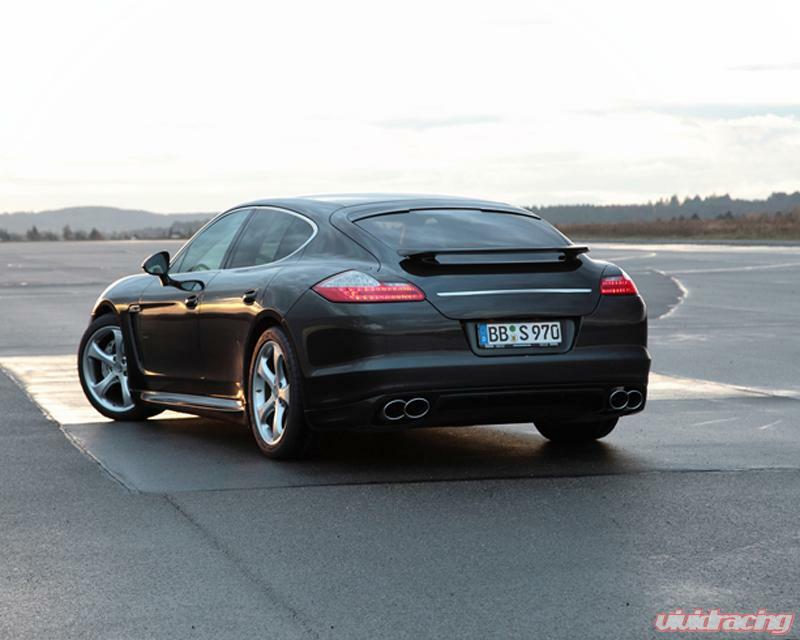 The increased down force gives you more traction on the front wheels and greater stability at high speeds. 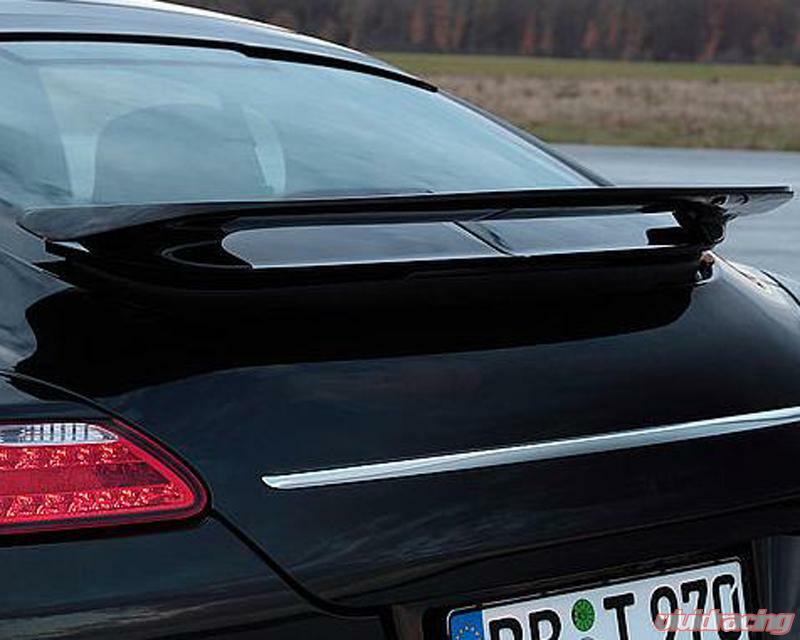 TechArt develops their aero packages in a wind tunnel to maximize aerodynamics. Another function of this front spoiler is the redirection of air to the front brakes for cooling, this reduced brake fade during extended periods of heavy braking. Available in bare PU-RIM finish or in a custom color of your choice. Please enter vehicle info and color choice in the box below before placing your order. Additional Fee for paint added at checkout. Note: Does not fit turbo models.